Boats in front of Carpathia II. 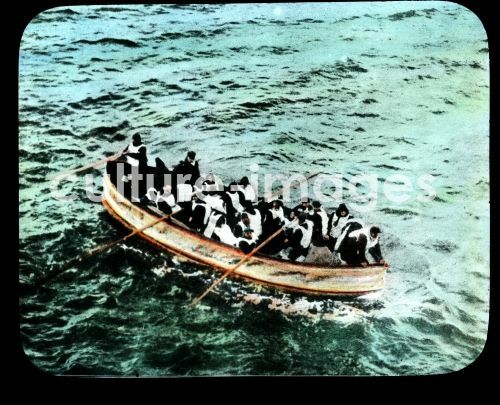 Also this boat has been picked up by the Carpathia, Slide colored, from the series of lectures: The Sinking of the Titanic. Collection Carl Simon 1912.